Yoxel Sync configuration auto populates for users based on assigned templates. Yoxel admins prepare the templates: define two services (Salesforce, Outlook/MS Exchange) and sync rules. 1. Navigate to your Yoxel Sync tab. If Yoxel Sync tab is not on your standard menu you can find it under the '+' drop down menu. The tab will show your services/connectors (Salesforce and Outlook/MS Exchange) and the sync rules. The services will show 'Unauthorized' status the first time you visit the tab. 2. 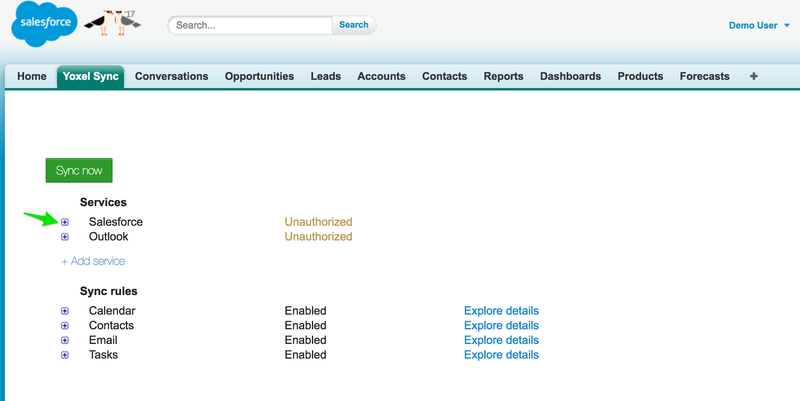 Expand the Salesforce service and click 'Authorize' button. 3. 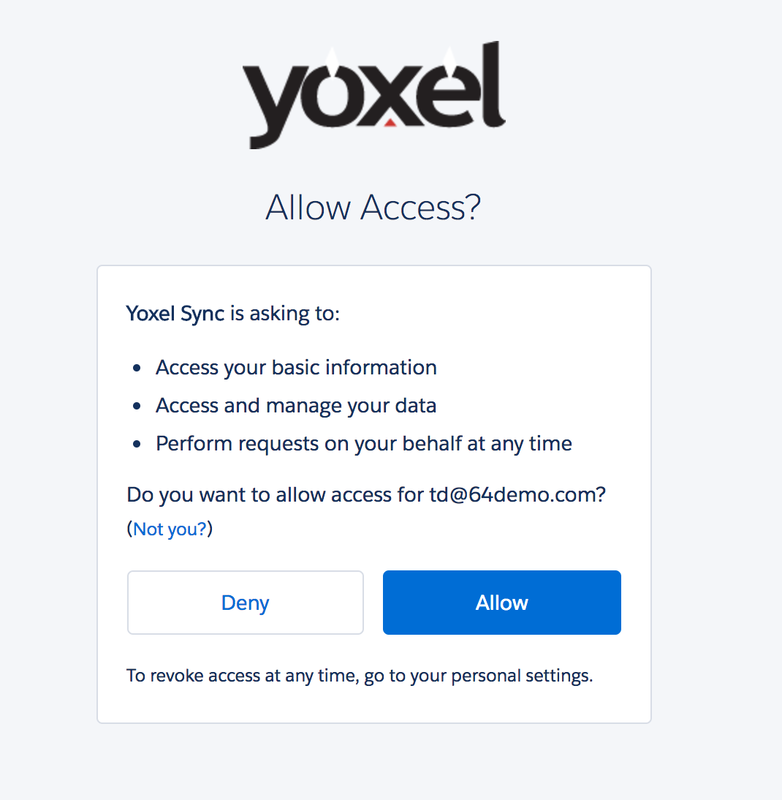 You will be redirected to a Salesforce page that will ask you to allow Yoxel to access your Salesforce account (Lightning users expect a popup window to be open). Click 'Allow' if you agree. 4. 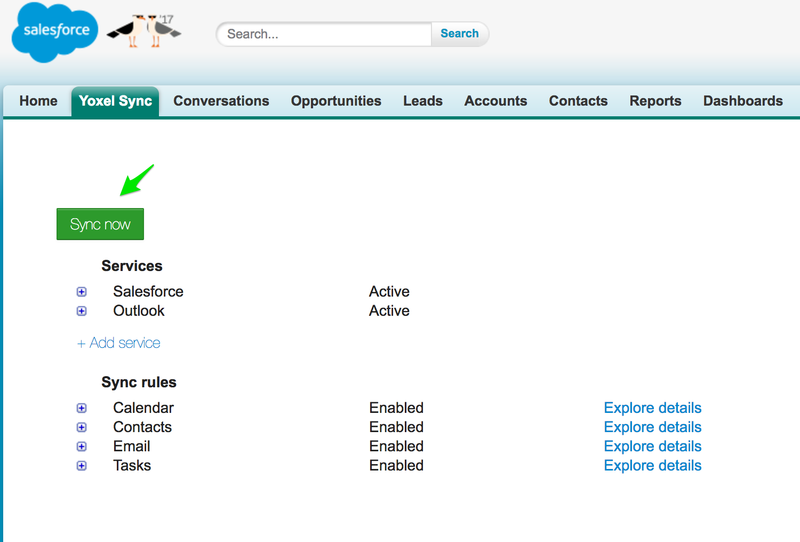 You should get redirected back to the Yoxel Sync tab in Salesforce and the Salesforce service should show 'Active' status now. 5. 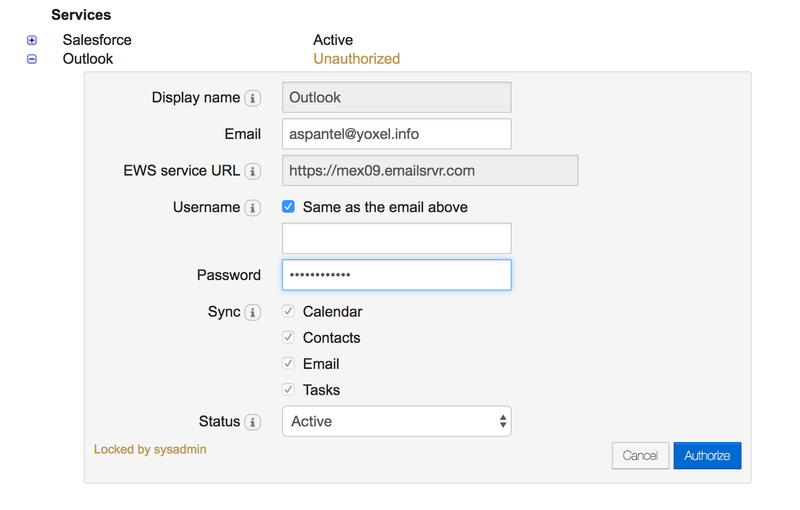 Expand the Outlook/MS Exchange service now and enter your Exchange email address and password. If your Exchange login name is not your email address you will have to uncheck 'Same as the email above' box and enter your Windows style username 'DOMAIN\login'. Then click 'Authorize'. 6. If you entered correct credentials the form will close and you will see your both services 'Active'. Your sync is activated at this point and you can request a sync by clicking the 'Sync now' button.